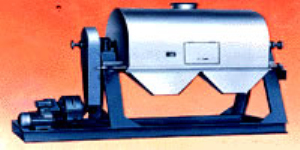 The drum knotting machine is a cooling and crystallizing process, in which the molten material is contacted with the cooling drum and the material film is formed on the surface of the drum, and the film is cooled, crystallized and crystallized by heat exchange between the film and the wall of the stock Of the film is scraped by a scraper, a sheet-like products. Drum drying is through the rotating drum, heat transfer way, will be attached to the outer wall of the material or belt-like material for drying a dry operation of the process. The device is suitable for melting point of 400 ℃ in the various types of low-melting point materials. ◇ with side scraper, drum side to avoid the drum material. Hot melt molding method Hot melt molding method is the use of the product's low melting point characteristics (usually less than 300 ℃), the molten material through a special condensation method, so that the crystallization of the required crystallization of the chip, strip, Like shape. According to the working principle of molding equipment, can be divided into drum knot machine and cold-roll die-molding device. The drum knot is a cooling and crystallizing process. The molten material in the tray is in contact with the cooling drum and forms a film on the surface of the drum. The film is cooled, crystallized and crystallized by the heat exchange between the film and the drum wall. Of the film is scraped by a scraper, a sheet-like products. The drum knotting machine has the advantages of compact equipment, high precision drum, good cooling effect, wide range of application, can be knotted and dried, etc. It can be widely used in petroleum resin, polyethylene oligomer and other polymer products and Phthalic anhydride, maleic anhydride, higher fatty alcohols and other organic chemical products. Drum knot machine in the powder industry in China has been more common, more mature technology. Looking for ideal Drum Knot Machine Manufacturer & supplier ? We have a wide selection at great prices to help you get creative. All the Stainless Steel Drum Knot Machine are quality guaranteed. We are China Origin Factory of High Quality Drum Knot Machine. If you have any question, please feel free to contact us.